With spring just around the corner there has never been a better time to brighten up your home. 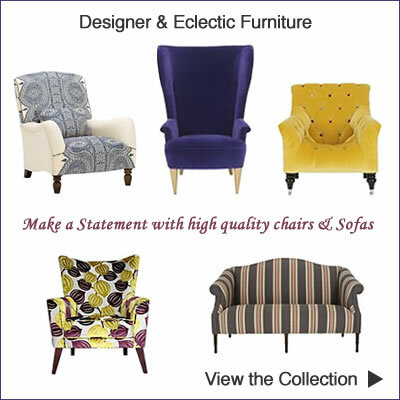 Take a look at the fabulous range of eclectic furniture for the latest styles and a touch of 1960’s chic. We love retro style furniture that adds a splash of design creating an interesting living room with plenty of character. 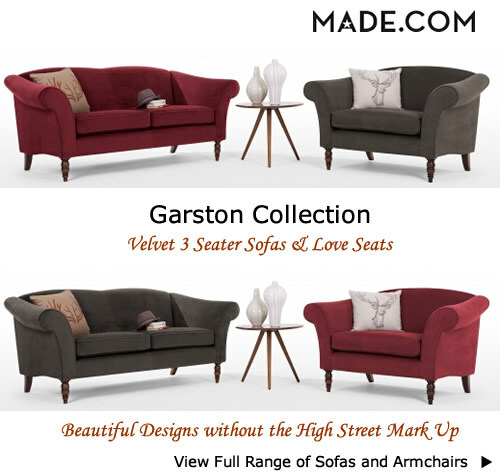 You’ll find luxurious velvet pieces and brightly coloured upholstery in various fabrics plus aged leather sofas and armchairs. Styles in the Eclectic range offer colour and unique designs to liven up a bland interior scheme. Occasional armchairs, snugglers and love seats can be used as stand alone pieces that are unique to the rest of the furniture. They make great focal points and can easily be used to change the look and feel of a room. Add a splash of colour with a bright yellow, rich green or red accent chair or simply go for subtle shades of silver or beige. 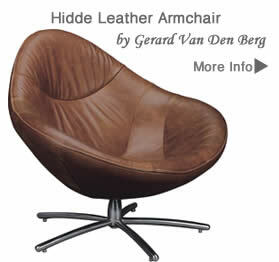 For a touch of magic Alice in Wonderland style chairs are great fun. Chair upholstered in a rich purple velvet and exaggerated wing back and petite arms. Unusual pieces make a great focal point and will be the talk of your friends. 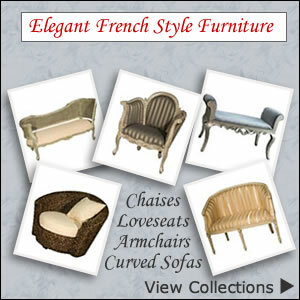 Accent chairs work well in any setting from bedroom, boudoir to hallway, dining and living room. There’s not many places around where you can find modern, contemporary and designer furniture all under one roof like you can at Heal’s. 2010 will be their Bicentenary and to celebrate Heal’s 200 years in the business they have launched a new range of pieces created by the very best furniture designers. We love the bold colours of this Flow Sofa by Kay + Stemmer and the unusual curvy profile of the Luna Chair by Matthew Hilton. 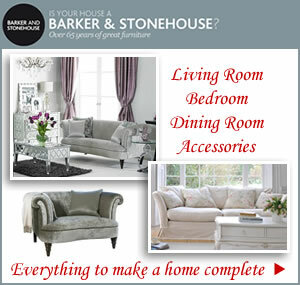 Their extensive range of furniture and non furniture products can be found online including designer sofas, upholstery, swivel armchairs, dining tables, easy chairs, recliners, beds, wardrobes, bedroom furniture, bathroom furnishings, storage and shelving plus garden furniture. Starting out as a bed making firm in 1810, where quality and stylish furniture was designed and made. From here the company’s successful journey continued when Sir Ambrose Heal joined the firm in 1893 and brought with him his vision of Better Furniture for Better Times. His dream of working with highly skilled crafts people and designers of the day paid off. It wasn’t long before people were drawn to the distinctive character and innovative designs. 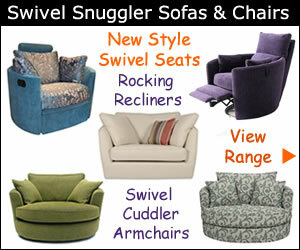 Affordable fashionable pieces were being created along with home furnishings that offered comfort as well as style. This tradition lives on today as they continue to work with designers to create exclusive designs both contemporary and modern. 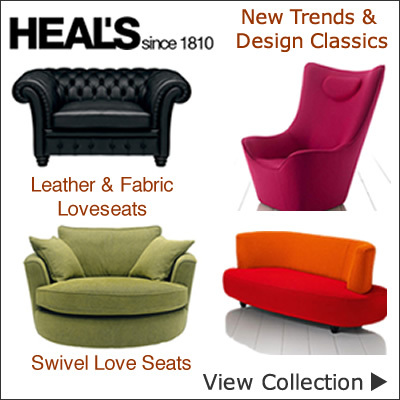 You can buy ordinary standard sofas, love seats, lighting and homewares anywhere but if it’s something special and unique you are after then the place to shop is Heal’s. There are six stores located throughout the UK but it’s easier to shop online where you will find a wide range of up to date looks for today’s home along with quirky one off pieces that will make fantastic focal points for a room like this finely crafted swivel chair. Buy from leading designers, with often exclusive designs to Heal’s, and brands such as Philippe Starck, Tom Dixon, Orla Kiely, John Reeves, Matthew Hilton and Gerard Van Den Berg.